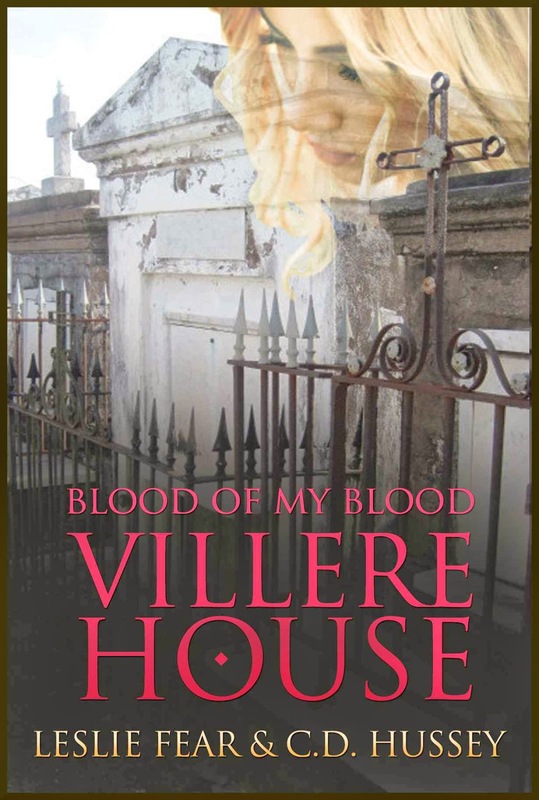 Villere House (Blood of My Blood) is an intense and highly captivating paranormal type story featuring Lottie, a college student on her spring break with a couple of other friends. While in New Orleans Lotties mates are only intersted in going out drinking while Lottie finds herself inexplicately drawn to Villere House of Voodoo. Lottie's also having vivid dreams about Elise Cantrell, a 19th century widow doing anything she can to heal her very sick daughter. When Lottie is drawn to the The Villere House of Voodoo she meets Xavier. The store is run by his family and soon enough they're important characters in the story. The first meeting is hilarious, Lottie drops the book she's thinking of buying to rush out the door to... well... no one, on one that Xavier can see but Lottie is convinced she can see the woman in her dreams ahead and before she knows it she's almost run over. that's only the start... next up they cross paths in a tour Xavier's brother runs... and Lottie wakes up from stabbing herself with a nail file. Lottie's dreams are so vivid and real and as a reader I couldnt wait to get to the next dream installment, it's a story within a story. The whole book was a rollercoaster ride full of non stop voodoo adventure and I didn't want to get off! The Author's creative, descriptive and captivating writing held my interest from start to finish and I want more. I will definitely read more from this author. New Orleans, the perfect backdrop to cover the mysteriously magical mystery world of Voodoo. The author writes in such a way that I felt not a word was wasted. There was a point to everything i read and I was completely fixed. The writing flowed and was a huge part of why I think this story will be a great success. I will recommend this book to anyone wanting to try something different from their usual. Actually I'd recommend this book to anyone who asks for the nomination of a good read. Even as I write this shivers are still running up my arms at the memories I have of this fantastic story.